When talking about global trends that cities all over the world are taking on, one just cannot avoid reflecting on what a huge role street art has had on urbanism in recent years. This means that throughout the years turning from vandalism into creative expression, street art has been shaping identities of cities. When talking about global trends that cities all over the world are taking on, one just cannot avoid reflecting on what a huge role street art has had on urbanism in recent years. This means that throughout the years turning from vandalism into creative expression, street art has been shaping identities of cities. Hence, the government and the citizens realized that the creative force they have been fighting against for years could become a potential for representing the cities from a new perspective. Some of the street arts are even so well known that by only looking at them, it is possible to guess what city is portrayed in the picture. In addition, in some parts of the world the street art culture has developed so much that not only are there just a few murals scattered around the city but also festivals and various events and contests are organized from time to time completely dedicated to that culture. Some cities take the love for street art one step further by embracing it and making it part of their local culture. Cleaning up graffiti is expensive. Partly because of the crisis, the city of Athens stopped doing it altogether. The result? There are few buildings without any graffiti - much of it ugly, but some of it top notch street art! The crisis actually is a great inspiration for street artists. 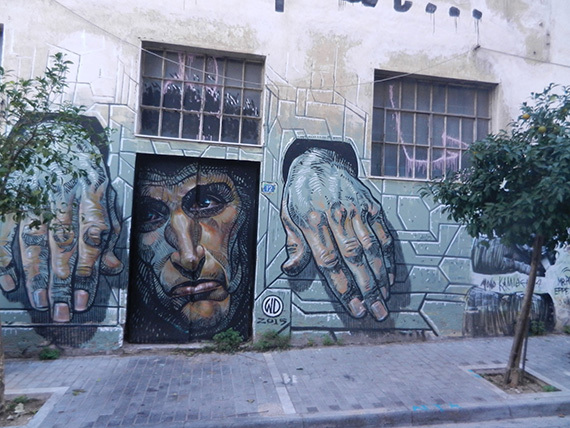 The city of Athens has recognized this can be a magnet for tourists, and often promotes Athens as a destination to see great street art on its Twitter channel. When talking about street art and Germany, you think of Berlin. However, Cologne not only doesn't take a back seat in street art scene but it can be truly called a cultural centre of graffiti. Just go to the Ehrenfeld district to see it with your eyes. 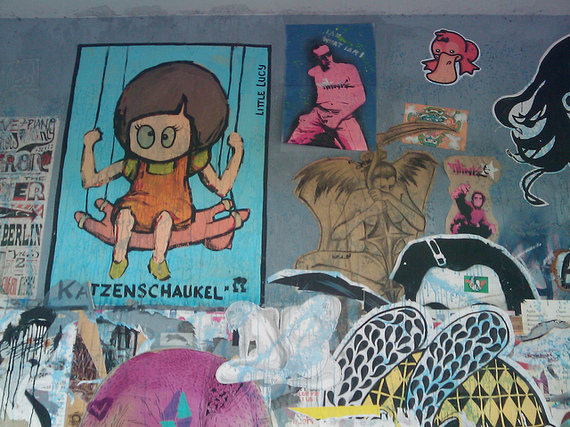 This part in Cologne is being covered with new street art on a weekly basis! Thus, if you see a mural that is worth taking a picture of (although, all of them are) you had better hurry because you never know if it will be there in a week. What also makes Cologne one of the true street art centre is that not only does it have murals, but it takes the concept of street art beyond paintings and incorporates stickers, tiles and other creative produce of artists into the scene as well. Lisbon is a city that didn't skip the attention of well known international artists like Blu SAM3 or Gémeos. 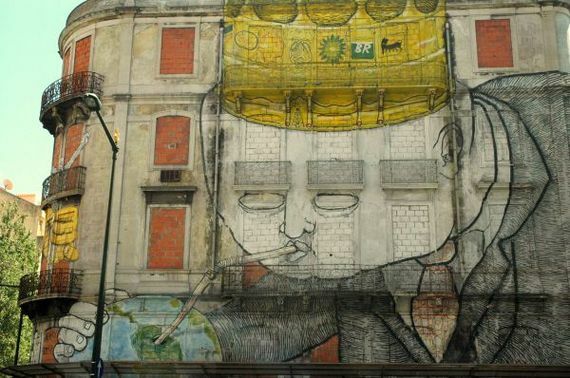 Partnering up with Crono Festival, the artists generously covered a whole quarter of Lisbon with their best works. But do not get satisfied with only the big murals that are visible at first sight. 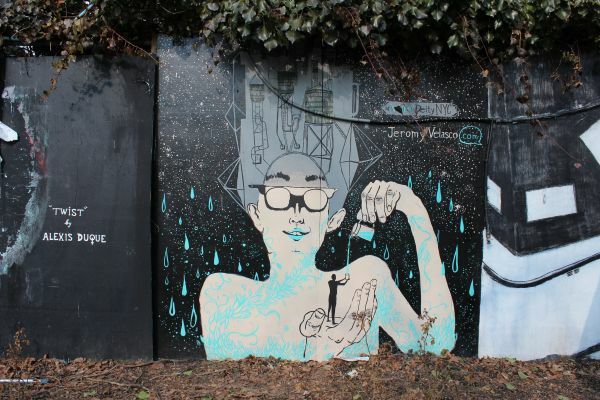 In fact, the more you go deep into the hidden streets the more quirky street art you will find. The whole city of Lisbon seems one great collection of street art pieces. Actually, there are even some organizations like "Underdogs" aiming to give creative people more space for urban art. And so far, Lisbon couldn't do a job better than what it already has! Having the French influence throughout the years and being probably one of the most "cultured" cities of Canada, Montreal has a lot in the store when it comes to the street art scene. 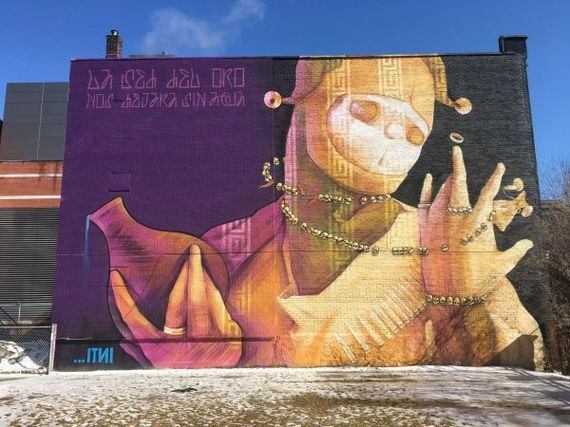 In addition to graffiti that can be found all over the city, there is also a whole neighborhood called "the Main" in Montreal covered all in street art. And what is even more exciting about this spot is that the pieces of art are being completely renewed once a year thanks to the MURAL festival. The latter gives Montreal a new look every year making it one of the best locations to celebrate the love for street art. 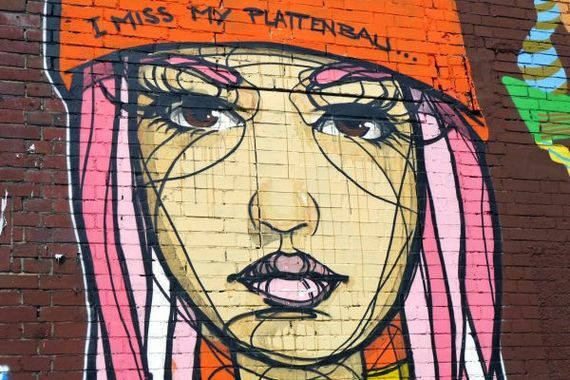 The city of New York has such vibrant street art culture and gave birth to such big names of street artists that it just couldn't be left out from our list. In order to support and motivate young street artists, New York provides them with open spaces to express themselves. A good example of this is First Street Garden where you can witness how white slates are turned into pieces of art. This way the city is killing 2 birds with one stone developing urban street art culture as well as giving a space to the artists to show their talents at the same time. Furthermore, the Graffiti Wall of Fame in New York forms a very prominent part of the scene as well. If you want to get a sense of what the local artists are capable of in New York then there is no better place to check that out than this wall. How to turn a public housing complex into a hip neighborhood and attract travelers? Rome seemed to know that street art would work are better than anything else. The "Big City Life" project that was created covered the buildings with huge absolutely stunning murals and gave the neighborhood of Tor Marancia a completely different atmosphere right away. 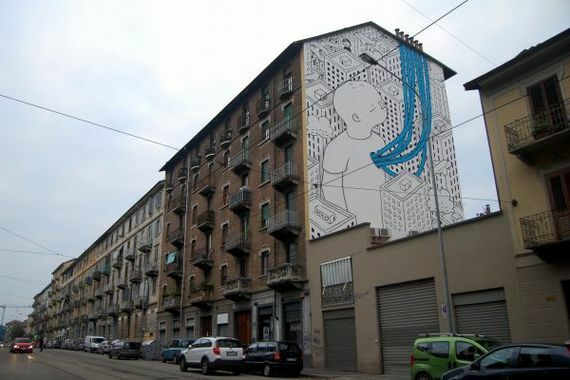 Turin is the perfect example of a city that by using street art could make not one of the best neighborhoods hip and trendy. This is probably a classic step in urbanism that always tends to work. 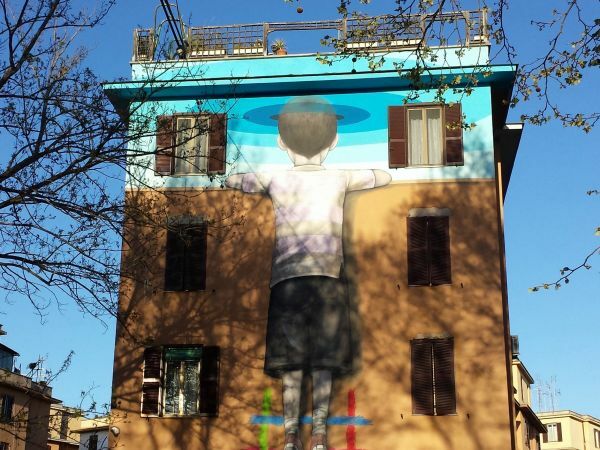 When being renovated the whole quarter of Barriera di Milano was covered with street art and at least 13 of them were painted by the same street artist Milo. However, do not expect to see all of them as some of the murals are so hidden that it is a challenge even for locals to find those. Nevertheless, if you can't find all do not be disappointed because as already mentioned the whole neighborhood is a big street art gallery and the city in general will not have any scarcity of graffiti. All in all, there are, for sure, many more cities that made street art an inseparable part of their culture and used the graffiti scene to reshape or accentuate the identity of some parts of the city (or the city in a whole). The list certainly cannot cover all the cities with developed street art culture, however, if you ever happen to be in one of the aforementioned cities you know where to get some art inspiration.